Dubai and Chicago, January 29, 2009 - NASDAQ Dubai and The Options Industry Council (OIC), a world leader in equity options education, have signed a licensing agreement to develop an equity options education program for Middle East investors and financial advisors. NASDAQ Dubai, the international stock exchange serving the Middle East, will tailor content provided by Chicago-based OIC to deliver a comprehensive education program. This will include seminars run by NASDAQ Dubai Academy explaining equity options for institutional and individual investors, as well as brokers. Options are derivatives that are used around the world to hedge risk. In 2008, 3.58 billion options contracts were traded on exchanges in the U.S. NASDAQ Dubai is working to list equity options in 2009 (subject to regulatory approval), following the launch of its equity futures market in November 2008. Dubai, January 31, 2009: Emirates Gas has further reduced the price of 22-kg LP Gas cylinders from AED 96 to AED 86, marking an 18 per cent reduction in price in the past two months. The revised price highlights the commitment of Emirates Gas to further enable Dubai residents to meet the unprecedented challenges posed by the global financial crisis. In the last eight months, Emirates Gas changed over 200,000 cylinders incorporating new self-closing valves. The new valves have high-impact strength and are equipped with safety features like protective gaskets and domestic pressure regulators with an automatic cut-off mechanism to stop the flow of gas in case of a leakage. The regulator also has a fusible plug which will melt in case of fire. “We continuously upgrade our services with initiatives such as online ordering and customised inventory management. Emirates Gas is continuously exploring ways to provide cost-effective solutions to our customers,” Mustafa added. As the leading supplier in the UAE for LP Gas, Propane and Aerosol propellants, Emirates Gas also offers a range of eco-friendly products. Emirates Gas Aerosol Propellant (EGAP), one of its premium products, is a substitute for ozone depleting CFC products used in the perfume / deodorant industry and Cutting Edge Gas which is a replacement for Acetylene in the fabrication industry. Dubai, January 31, 2009: Emcredit, the country’s leading credit information services company, announced today that it has secured the ISO 27001 certification, which is the world’s highest accreditation for information protection and security. Emcredit is now of a few companies in the UAE and among a small number of credit bureaus in the world to receive this endorsement. Emcredit was certified by TUV NORD Middle East, a division of TUV NORD CERT GmBH providing comprehensive inspection, testing and certification services, based on national and international regulations and standards. Ali Ibrahim, Managing Director, Emcredit, said: “Personal and credit information forms the backbone of our business and ensuring the integrity, confidentiality, and security of our data assets is paramount to our success. Our latest ISO 27001 certification is testament to our focus on safeguarding information privacy and represents a strong vote of confidence for our members and data-sharing partners. Ibrahim added that a vast amount of credit and personal information from financial institutions and government departments is transferred to Emcredit’s systems and updated on a real-time basis. A growing number of clients and members are accessing this information online and in real time to support their business decisions. Even as the company expands its information coverage and reporting solutions to different sectors of the economy, information security will continue to remain central to Emcredit’s operational efficiency and professionalism. ISO/IEC 27001, part of the growing ISO/IEC 27000 series of standards, is an information security management system (ISMS) standard published in October 2005 by the International Organization for Standardization (ISO) and the International Electrotechnical Commission (IEC). The ISO27k standards provide generally accepted good practice guidance on Information Security Management Systems designed to protect the confidentiality, integrity and availability of the information content and systems. Dubai, UAE (January 19, 2009) – Once again the World Gold Council (WGC) has shown its commitment to participate in the Dubai Shopping Festival 2009 in collaboration with Damas on a massive gold promotion. Since the inception of this festival, WGC has been a very enthusiastic partner of the Dubai Government in supporting its various activities - the most prominent amongst them being the annual Dubai Shopping Festival which has significantly contributed towards the city’s success and recognition as the ‘City of Gold’. On every purchase of gold and jewellery worth Dh500 at one of the participating Damas stores, the customer will be entitled to one raffle coupon and enter into a daily draw to win gold. This mega promotion offered during the biggest regional shopping bonanza will give five shoppers the chance to win 100gm of gold every day and four lucky winners will also get an opportunity to win the grand prize of 1kg gold each. Lama Al Saheb, Head of Marketing & PR – Middle East Region commented: "Experts have always said gold is a hedge against inflation, and just as importantly in the UAE, a hedge against the US dollar. Gold has always been a safe haven and with the global economy fast sinking into recession it is coming to the limelight again. Despite the global downturn, the gold market in the UAE remains healthy with the investment sector increasing significantly by end of 2008 as a result of the consumer awareness towards investing in gold. “The jewellery sector had its ups and downs during the second half of 2008 with a significant increase in Q3 (Dh4.3 billion in the UAE) followed by a slight drop in gold jewellery consumption in Q4 (figures not available yet). However, the increase in the investment sector balances the total gold consumption leading to a stable and healthy gold market in the UAE. Therefore, gold remains the safe investment choice, whether purchased in the form of coins and bars or as gold jewellery. The World Gold Council, urges consumers to make the wise choice this DSF and buy gold jewellery. Given the current global conditions, it is wise to make purchases that store its value." Yogaani Bhatia, World Gold Council’s Jewellery Marketing Manager, UAE commented: “Dubai’s growing international trade makes it a very attractive hub and the gold trade continues to gain from this escalation. Dubai Shopping Festival persists to lure residents and tourists with its comfortable opulence combining it with exciting activities and the World Gold Council is both proud and pleased to extend its participation with Damas for this successful endeavour. The 14th edition of the grand event is scheduled to take place between January 15th and February 15th 2009 and retailers in the city have reportedly stocked up on the latest and most trendy designs of the season with an eye on international fashion trends. Gold trade particularly continued to receive a boost with Dubai coming into the limelight as a growing international trading hub. As one of the most bankable financial assets, gold has time and again proved itself during times of crisis as an investment of worth. It also adapts itself admirably to present day fashion trends with designers competing with one another to come up with the most innovative, eye-catching designs. In UAE, the increase in gold demand reached 22% in tonnage terms; equal to 56% increase in value terms. Q3 also saw a record performance as consumer demand increased for gold jewellery with buyers returning to the markets on lower price points, around and below $800, demonstrating the underlying positive sentiment towards gold and its recognition as a store value. The continued marketing efforts of the World Gold Council, with the jewellery trade and the continued support of the UAE government have played an invaluable and critically vital role in promoting tourism in the country. And with gold outlets stocked with the very latest jewellery trends, this month-long event draws visitors from across the world. From minimalistic appeal to grand and opulent designs with intricate detailed work, gold jewellery now comes in an array of astonishing hues such as rose, green, purple, blue and black, apart from the eternal favourite yellow and white. Filigree-like cut out designs while heightening volume are also lightweight with a casual, fun quality that’s extremely budget friendly too. A host of tempting and exciting gold jewellery collections to suit both mood and occasion await shoppers this DSF 2009. Dubai, UAE; January 28, 2009: GE Healthcare has launched new software for diagnosing osteoporosis on display at Arab Health 2009, the region’s premier healthcare event. The new software will play an integral role in strengthening early diagnosis of the disease, which according to the International Osteoporosis Foundation (IOF) is of increasing concern to the Middle East. In fact, the Emirates Osteoporosis Society (EOS) was established due to the continuously increasing prevalence of low bone mass among the residents of the UAE. According to IOF, one in three women and one in five men globally over 50 years of age will experience osteoporotic fractures, and 30 to 50 per cent of women, and 15 to 30 per cent of men will suffer an osteoporosis related fracture in their lifetime. IOF also presents evidence that many women who sustain a fragility fracture are not appropriately diagnosed and treated for probable osteoporosis, and that a great majority of individuals at high risk, who have already had at least one osteoporotic fracture, are neither identified nor treated. In Saudi Arabia, with a population of over 1.46 million people aged 50 years or more, over 8,000 people suffer femoral (thigh bone) fractures at a cost of about USD 1.14 billion. GE Healthcare is a leading provider of systems that calculate a T-score based on an individual’s bone mineral density (BMD) for the diagnosis of osteoporosis. The FRAXä Fracture Risk Tool uses this BMD measurement plus other risk factors to estimate the likelihood of a person will break a bone over a period of ten years. FRAXä, together with new National Osteoporosis Foundation (NOF) guidelines, provides clinicians with an enhanced ability to identify people at high fracture risk, and to help assure they are recommended for treatment. Developed by the World Health Organization (WHO) and Dr. John A. Kanis, professor emeritus at the University of Sheffield in the United Kingdom, FRAXä is endorsed by the IOF and the NOF in its new Clinician’s Guide to Prevention and Treatment of Osteoporosis (2008). The new solutions for diagnosing osteoporosis are on display at the GE Healthcare stand (Hall 4 - Stand D20) at the exhibition in the Dubai International Exhibition Centre. Dubai, UAE (January 15, 2009) – Damas, the leading international jewellery retailer in the Middle East, in association with World Gold Council is offering 20kg gold in retail promotion during the 32-day Dubai Shopping Festival (DSF). On every purchase of gold and jewellery worth Dh500 at one of the participating Damas stores, the customer will be entitled to one raffle coupon and enter into a daily draw to win gold. This mega promotion offered during the biggest regional shopping bonanza will give five shoppers the chance to win 100gm of gold every day, and four lucky winners will also get an opportunity to win the grand prize of 1kg gold each. Dubai has earned the title of ‘City of Gold’, and the continuous marketing efforts of retailers such as Damas and the World Gold Council and the annual promotions of its partners play a large role in creating awareness of this prestigious title locally, and internationally. The council has worked closely with the DSF authorities to promote Dubai as the main centre of gold in the region, since the launch of DSF. World Gold Council’s continued participation in DSF reiterates the success of the event in terms of promoting gold sales. Such promotions have perfectly complemented the shopping festival and provided added-value to shoppers. Dubai, UAE; January 28, 2009: GE Healthcare, the US$17 billion healthcare business of General Electric Company (GE), today launches for the first time in the Middle East its Lullaby™ Incubator XP and Lullaby™ Incubator TR. These new incubators provide for the management of thermally sensitive infants in Neonatal Intensive Care Units (NICU) and during transport. The Lullaby™ XP and Lullaby™ TR will be on display during this week’s Arab Health Congress in Dubai. Both Lullaby™ XP and TR, designed and developed at GE’s R&D Center in Turkey, are part of a MIC program to make high end technology more affordable, reliable and more accessible to larger segments of society. GE Healthcare plans to export the incubator systems across the Middle East as well as to Europe, Latin America and Asia Pacific. According to various neonatal experts, Prematurity is one of the most common conditions requiring medical attention in newborns. There are approximately 138 million newborns delivered in the world annually. About 10-12 per cent of these infants are premature and require some support to manage their body temperature in the NICU. 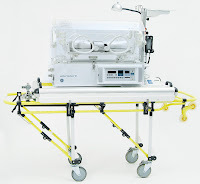 GE’s Lullaby Incubator XP combines high levels of clinical performance and with a simple flexible design, and easy to read controls for skin and air temperature. Our Lullaby XP creates an advanced microenvironment that enables providers to spend more time on direct patient care and less time on system operation. Our Lullaby TR creates a stable transport environment for neonates that enable the provider to transfer the smallest and most vulnerable patients reliably and efficiently. Both Lullaby™ XP and Lullaby™ TR assist healthcare professionals in supporting the specialized needs of patients and families across the entire maternal-infant continuum. “As a part of our overall business strategy, GE Healthcare plans to design and acquire products in varied segments to become a complete solutions provider in the healthcare and life sciences space. With our recent tie up with AMS, we have now started manufacturing these products in Turkey to expand our Maternal-Infant care portfolio. We plan to explore further opportunities to tap other potential segments,” added Hisham Youssef. GE Healthcare, aims to bring high quality, advanced technology MIC systems such as the Lullaby™ Incubator XP and Lullaby™ Incubator TR to market, to address the growing needs of mothers and babies. GE is currently expanding its MIC and imaging products. Kabul, Afghanistan, 28th January, 2009 – Dnata Travel and HRG have announced the opening of Afghanistan’s first internationally recognised one stop travel shop in the country’s capital, Kabul. Dnata is the Middle East’s leading travel company with expertise across the full range of travel services, including retail travel, corporate and government travel, contact centres, incentives, events and e-commerce solutions for travel-related businesses. With a 23% share in UK-based Hogg Robinson Group, Dnata is also able to bring a corporate travel company with global reach to the region for the first time. The move follows the signing of a deal with local travel partner, Dunya Travel, in April 2008. Dunya Travel is the market leader in Afghanistan and is the first IATA accredited agency in the country. Dunya is also a member of the American Society of Travel Agents (ASTA) and is the PSA for Emirates Airlines, Kam Air, Ariana Afghan Airlines, Safi Airways and other Afghan carriers. Its associates also include GSA’s for United Airlines and Lufthansa for Afghanistan. Dnata currently has contracts with 21 UN agencies, including; United Nations Development Program for Afghanistan (UNDP), United Nations Assistance Mission in Afghanistan (UNAMA), UNICEF and the United Nations Population Fund (UNFPA). DUBAI, U.A.E., 28th January 2009 - Emirates Airline today announced that it would begin operating its ultra-modern and environmentally-friendly A380 aircraft to Seoul's Incheon International Airport in November 2009. The new service is perfectly timed to coincide with Visit Korea Year in 2010, where the national government and the city of Seoul are joining forces with the private sector to promote South Korea as a destination for international tourism. The new service represents the aviation world’s first A380 operation to Seoul, as well as Emirates’ first A380 service to North East Asia. It follows the successful deployment of Emirates’ A380s to New York and London, and soon-to-be-launched Sydney and Auckland. Trade between South Korea and the UAE has grown by more than 150% over the past five years and is now worth over USD16 billion dollars a year. Growing economic relations is the result of a series of joint initiatives including the visit of His Highness Sheikh Mohammed bin Rashid Al Maktoum, Vice President and Prime Minister of the UAE and Ruler of Dubai, to South Korea, and subsequent visits by the Korean Chamber of Commerce & Industry to the UAE. The Samsung Corporation is currently completing construction of the world's tallest building, the Burj Dubai, which will open later this year. South Korean exports to the UAE grew by over 50% in the first half of 2008 compared to the same period in 2007. Emirates leading export goods from South Korea in 2008 were mobile phones headed for Dubai and the Middle East. Emirates’ A380 service will also support the South Korean government's drive to make Incheon International Airport a major Asian hub. “Seoul has been an extremely successful market for Emirates since we introduced services in 2005. In 2004 just 37,000* passengers a year travelled between Dubai and Seoul where as today it is over 260,000*. This new aircraft will allow us to further develop this market as well as encourage more tourism and trade to South Korea,” the Chairman and Chief Executive of Emirates Airline and Group, H.H Sheikh Ahmed bin Saeed Al-Maktoum said. “Incheon International Airport has invested significantly to prepare its infrastructure for A380 operations and we thank them and our ground handlers, Swissport, for their hard work to ensure the airport is so well equipped for our A380,” Sheikh Ahmed added. The President and CEO of Incheon International Airport, CW Lee said: “This is an important milestone for the future of Incheon and aviation in South Korea. We have made major investments worth USD 4 billion to prepare the airport for the A380 and we are very happy to be soon welcoming this important aircraft. “Incheon has won the world's best customer service award three years in a row and introducing the A380 to Seoul will ensure the customer experience continues to blossom,” Mr Lee added. The A380 is the world's most environmentally-advanced aircraft with significant reductions in noise, emissions and fuel burn compared to other comparable aircraft. Emirates A380’s revolutionary in-flight product includes onboard shower spas in the First Class cabin featuring signature products by the airline’s premium spa brand, Timeless Spa. The onboard lounge for First and Business class customers mirrors the ambience of an executive club and includes a bar with a wide range of beverages and canapés. With flat-bed massage-equipped private suites in First Class, a new generation of intelligent seating and flat-beds in Business Class, mood-lighting, and a second-to-none in-flight entertainment system featuring over 1000 channels of on-demand entertainment, the Emirates’ A380 introduces a whole new dimension to luxury air travel. Emirates currently operates daily flights to Seoul operated by a Boeing 777. * Represents total passenger traffic between Dubai and Seoul on all airlines. Dubai Municipality, in cooperation with Mirdif Security & Safety Consultants, recently organized a course for its engineers as part of the series of training courses held by the Engineering Supervision Section in the Buildings Department aimed at enhancing their level of competence, field supervision and work inspection in construction sites. The course coincides with the Buildings Department issuing a the Safety Manual for construction sites in Arabic and English, which is considered to be one of the major reference material on safety in construction sites in the emirate of Dubai. Contractors and consultants can get a copy of the manual from the concerned counters in the Municipality. All fifty engineers in the Engineering Supervision Section were trained on safety conditions and the new additions in the manual that conforms to the latest and advanced in the field of safety science in the advanced countries. Dubai, January 28, 2009: Mr. R. Seetharaman, Chief Executive Officer, Doha Bank was conferred, on January 25, 2009, the prestigious HIND RATTAN AWARD 2009 for his outstanding services, achievements and contributions for keeping the flag of India high during the 28th International Congress of NRI’s in a glittering function in the presence of dignitaries at Hotel Inter-Continental The Grand, New Delhi, India. Dr. Bhishma Narain Singh – Former Governor and currently the President of NRI Welfare Society of India and Dr. G.V.G. Krishnamurthy – Former Election Commissioner and currently in the Advisory Board of NRI Welfare Society of India jointly conferred the award on Mr. Seetharaman during the gala event. Earlier in the day at the 28th International Congress of NRIs, Mr. Seetharaman also delivered his key note speech, on “Global Financial Crisis and Opportunities for India”. Speaking at the congress Mr. Seetharaman highlighted the current global crisis, its impact on the functioning of the global economy and the economic outlook on the world economies in light of the financial crisis. Further, he also explained what the global financial crisis meant for real economies, one like India and the measures and opportunities available for India to come out strongly from it. Further, Mr. Seetharaman highlighted the policy changes that are required at a macro-economic level and financial/monetary level for India to emerge stronger. The congress was attended by renowned bankers, industrialists, analysts, economists, regulators, scholars, legislators, educationalists etc. Mr. Seetharaman was recently conferred with “Gullands Excellence Award 2008 for Excellence in Banking” by the UK Chapter of NRI Institute World-wide and “Brand Leadership Award” during the 17th Asia Brand Congress both in the month of September 2008, “Best CEO in Middle East Banking Industry 2008” conferred by Honourable Dominique de Villepin, Former Prime Minister of France, during the 5th Leading CEO Summit in recognition of his valuable contributions to the Banking industry in the Middle East, in March 2008, “Certificate of Appreciation” from the USA-Commercial Services attached to USA Government – Commerce Ministry in November 2007 for his tireless efforts and outstanding creativity in promoting US-Qatari trade and financial ties, “Banker of the Year” at the 2007 Banker Middle East Industry awards in recognition of his valuable contributions to the Banking industry in the Middle East in May 2007 and “Arab Asian Banker Excellence Award - 2006” at the Annual Arab Asian Forum in Singapore in September 2006. Dubai, U.A.E., 27th January 2009 – Emirates Airline has revised its fares for tickets issued in UAE on its First, Business and Economy Class fares to 85 destinations, including cities in India, China, US, Europe, GCC, Middle East, Africa and Australia. The fares are valid for booking until 15th February and for travel until 31st May. Adnan Kazim, Emirates' Senior Vice President Commercial Operations - Gulf, Middle East & Iran said, "This is our third fare revision since October 2008, and this move is once again driven by the lowering of fuel prices in recent months. Emirates continues to offer competitive airfares across our international network. Although travel demand has slowed after the peak holiday season, our convenient connections and high-quality service continue to attract customers seeking good value for money. Our seat factors in the region remain strong, and we are expecting growth in some markets." Emirates last month announced that it would be adding flights to three cities in the region – one additional flight to Riyadh, two additional flights to Amman, and one additional flight to Jeddah starting February 2009. These additions follow the airline’s recent increase of services to Damascus in December, from nine flights a week to 11. Today, Emirates serves 14 cities in the Middle East with nearly 180 flights per week, offering the best connectivity in the region. With a fleet of 127 modern, wide-bodied aircraft, the airline currently flies to 101 destinations in six continents, from its international hub of Dubai. The carrier offers First and Business class passengers a complimentary personal airport transfer in a chauffeur-driven car from home or hotel to the airport, and on arrival, to their ultimate destination in 43 destinations. 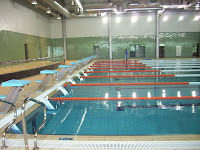 Dubai Municipality has set up training swimming pools in a number of sports clubs in Dubai at cost of Dhs47 million. The project comes in line with the endeavours of the Deputy Ruler of Dubai, UAE Minister of Finance and Chairman of Dubai Municipality Sheikh Hamdan Bin Rashid Al Maktoum to boost the sports clubs and develop sports in the emirate of Dubai. Eng. Hussain Nasser Lootah, Director General of Dubai Municipality said the world-class project, which was implemented in Al Nasr, Al Wasl and Al Shabab clubs, is considered to be among the specialised and pioneering projects aimed at achieving the comfort of living and essence of success for the UAE nationals and expatriates as well. He said they also support sporting activities and develop the capabilities of the sports clubs for bringing up a young generation in accordance with modern methods and international practices in sporting competitions locally as well as internationally. The project includes closed and air conditioned swimming facilities, stretching at a land area of 9500 metres each. They were designed as per the Olympic standards. The swimming pools also include grandstands with a capacity of 300 spectators, as well as administrative and service offices, cafeterias, toilets for men and women, changing rooms, gymnasiums, Sauna and Steam baths, Jacuzzis, massage rooms, parking lots and other facilities. Dubai, UAE – January 27, 2009 – Cisco today announced a $100 million global strategic initiative focused on small business networking and communications solutions for companies with fewer than 100 employees. Cisco aims to help small businesses gain greater agility and efficiency in working with customers who are increasingly expecting to do business on the move, on the Internet and via video. According to research firm IDC, the SMB market in the Middle East will account for more than a third of all IT spending by 2011 and comprises of 70 to 80 percent of businesses in this region. A new Cisco® Small Business Technology Group (SBTG) is being formed to develop technologies focused on six areas consistently highlighted as top priorities by small businesses for enabling business growth: connectivity, security, remote access, productivity, customer interaction and customer support. The SBTG is part of a companywide initiative composed of sales, marketing, services and technology groups that will focus solely on the small-business segment. Dubai, January 26, 2009: The Government of India has honoured Mr Sunny Varkey, Chairman of The Varkey Group, which includes GEMS Education and Emirates Healthcare Holdings Limited (operating Welcare and City Hospitals and clinics), with the Padmashri award. It is one of the country’s highest civilian awards, in recognition of his outstanding contribution to education and social service. Mr. Varkey owns and manages the largest network of private schools in the United Arab Emirates and has almost 100 international schools around the world under the aegis of GEMS Education – a company that has contributed significantly to the socio-economic progress of the region. Mr. Varkey received the Rajiv Gandhi Award for Eminent Educationist last year, and has also received the CEO Middle East Award for Corporate Social Responsibility, the Global Indian Business Award and the Most Outstanding Businessman of the Year by Asian Businessman Awards, Middle East – all for his achievements in education and healthcare. “I am greatly honoured by this recognition from the Government of India. Education and social services are close to my heart. I thank the entire team of GEMS Education and elsewhere, who through consistent hard work and dedication have improved the lives of people around the world. I share this honour with each one of them. It is awards like this one that allow us to continue the work we do in the field of education in the private sector and to work on initiatives that help provide education to the underprivileged,” said Mr Varkey. Dubai, United Arab Emirates, Jan. 27, 2009 – HP ProCurve today expanded its Adaptive Networks vision by announcing two initiatives that enable customers to address rapidly changing enterprise data center needs and improve the efficiency of their network applications. Also, adding to HP’s extensive technology portfolio, HP ProCurve unveiled data center switches and management software designed to help customers lower costs, mitigate risks and drive business growth. The HP ProCurve Open Network Ecosystem (HP ProCurve ONE) is a multi-vendor alliance program that optimises the performance of enterprise-class applications with HP ProCurve infrastructure. Participating in the program are technology leaders such as Microsoft, Avaya, McAfee, F5 and Riverbed. Adaptive Networks is HP ProCurve’s vision for the future in which networks adapt to users, applications and an organisation’s needs. Using HP ProCurve’s open networks platform as its foundation, HP ProCurve ONE allows customers to securely integrate a wide choice of best-in-class network applications and services from alliance partners that integrate directly with HP ProCurve infrastructure. HP ProCurve ONE partner applications are rigorously tested and certified to ensure interoperability with the new HP ProCurve ONE Services zl Module. The module is an HP blade for the HP ProCurve Switch 5400zl and 8200zl series that consolidates many partner applications onto one common platform, thereby eliminating redundant operational costs while optimising rack space. In addition to Microsoft, Avaya, McAfee, F5 and Riverbed, six technology companies – Aastra, AirTight Networks, Ekahau, InMon, .vantronix and VBrick – are members of HP ProCurve ONE and providing applications for the HP ProCurve ONE Services zl Module. These partners are collaborating with HP ProCurve to help customers strengthen security, reduce complexity of network management, increase network and data center performance, deploy new VoIP services and improve manageability. HP ProCurve’s first dedicated data center solutions align with the HP Adaptive Infrastructure initiative, which delivers greater agility by lowering costs, accelerating business growth and mitigating risk. The new HP ProCurve Data Center Connection Manager is designed to streamline operations in next-generation data centers. This software enables automated provisioning of server and network resources in virtualised and traditional environments to help reduce operating expenses in data centers. The HP ProCurve 6600 switch series adds five new top-of-rack server edge switches to the HP data center portfolio, simplifying management and maintenance enabled by consistent firmware across HP ProCurve 5400, 8200 and new 6600 series switches. The switches are all based on the fourth generation of HP ProCurve’s internally developed ProVision ASIC network chipset, which drives the functionality of the network switches. By turning off unused ports and employing a front-to-back reversible airflow system, the HP ProCurve 6600 switches help reduce energy consumption and allow customers to effectively manage the cooling layout of their data centers. Through the HP ProCurve ONE initiative, HP ProCurve is helping customers accelerate their adoption of next-generation data centers by teaming with F5 to provide application delivery technology, and with Riverbed for WAN acceleration and optimisation. “Through our strategic alliance with HP and the ProCurve Open Network Ecosystem, we’ll deliver fully integrated IP networking and unified communications solutions and services with significant benefits for businesses and organisations,” said Alan Baratz, senior vice president and president, Global Communications Solutions, Avaya. “F5 is very pleased to be chosen as a strategic launch partner for the ProCurve ONE program and align much more closely with HP. We bring our deep expertise of the enterprise data center and market-leading application delivery networking solutions that give customers the flexibility to deploy solutions that scale and adapt on demand,” said Dan Matte, senior vice president, Marketing and Business Development, F5. “We’re excited about becoming a member of the HP ProCurve ONE alliance program and the opportunity to collaborate with HP ProCurve in building data center solutions that combine McAfee’s industry-leading network security products with HP ProCurve’s new family of data center switching products,” said Dan Ryan, executive vice president and general manager, Network Security Business Unit, McAfee. “The inclusion of Riverbed WAN optimisation in the HP ProCurve Open Network Ecosystem gives customers moving to next-generation data center models a best-of-breed solution that reduces costs and complexity, while improving application performance and employee productivity,” said Eric Wolford, senior vice president, Marketing and Business Development, Riverbed. The Public Libraries Department recently held a series of training courses for a group of its employees in database management at the Umm Suqeim library. The training courses were conducted by three companies, Advanced Arab Systems, Techknolwedge and Proquest. Mohammed Jassim Al Eraidi, Director of the Public Libraries Department said the Department is always keen to catch up with the development in technology as far as providing information services and also to enhance the competency of its employees by qualifying them whatever needed for achieving the targets. He said 43 employees including librarians and library services administrators participated in the courses. Eraidi said the library members can now get benefited from the database on Islamic studies from Oxford, which is considered to be one of the important source of documents related to religion, Islamic world and history. The database, which provides the best information that helps to understand Islamic history and culture, is meant for students, researchers and Islamic research centres. This database also includes contributions from major religious scholars in Islamic history, faith, ideology, politics and culture. The database is subjected to constant updating. The libraries also provide reference database on business from Oxford, which is one of the most used database by students and teachers. It includes a set of more than 175 titles and is also updated regularly. Illustrated Oxford dictionaries are also added to it. AbdulRahman Ibrahim, Head of Technical Operations Unit said this step comes as a culmination of the plan of Dubai Public Libraries Department aimed at placing the best database that is used most by its members. This database will add up to the already existing database, EBSCO that covers more than 8,400 e-magazines, 4,506 court magazines, and Ebrary that contains more than 42,000 e-books, in addition to the Arabic database, AskZad that contains more than 16,000 books and university papers in Arabic in addition to more than 400 periodicals. Dubai, 27 January 2009: Dubai Municipality has presented a paper on the Coastal Zone Monitoring Programme along Dubai Coast in the Environment Conference 2009 which has been held recently in the Abu Dhabi National Exhibition Centre under the theme "Towards a Sustainable Coastal Environment." The paper was prepared by Eng. Alya Al Harmoudi, Head of Coastal Zone and Waterways Management Section at the Environment Department, under the title "An innovative approach for monitoring and managing dynamic Dubai coastal zone". It showcased the emirate's experience in this field and explored the basics and ways of activating the methodology of integrated management of coastal zone through legislation and regulatory undertaken along the environmentally-sensitive areas. There also is a regulatory unit which undertakes all tasks and responsibilities for monitoring and studying the coastal phenomenan and their impact on the marine environment. The paper focused on the Integrated Coastal Zone Management (ICZM) approach which is based on a sound understanding of prevailing coastal processes for managing the Dubai coastline which is subjected to massive development pressure coupled with extensive natural resource utilization. The most important strategic initiative for effective management of the Dubai coastal zone was identified to be the implementation of a coastal zone monitoring programme. The initial emphasis of the programme was primarily data collection and establishment of marine survey capability. Subsequently, this monitoring programme shifted focus to data analysis, products and interfacing with DM-operated predictive numerical models. The outcomes of this carefully designed phase sequence would eventually be translated to strategic planning directives and development of legislations to preserve and ensure sustainable development of the coastal zone. In addition to the above, the section is undertaking an initiative to monitor the coastal zone through video cameras as three video cameras, mounted on the rooftop of the Burj Al Arab hotel, have been installed to capture time-lapse imagery of beaches. The building housing the cameras is located offshore, allowing the cameras to capture a full view of the beach from offshore, rather than the usual onshore seaward-directed view captured by most such systems. Captured video data were subjected to time exposure analysis to allow beach profile and bar dynamics to be quantified. Live images captured by the cameras were made available on the website at 30 minute intervals. As a complement to this effort an expanded network of cameras is now to be installed along the Dubai coast. A high-frequency Radar system was recently installed to allow mapping of surface currents and wave fields off Dubai covering the area of Palm Jumeirah to Port Rashid. The provision is also made for inclusion of captured data on a dedicated website. The data captured will include magnitude and direction of currents, wave height, direction and period. The measurements will be subjected to initial verification through comparison with directional wave measurements obtained through the deployed ADCPs. Moreover, a number of water quality monitoring field studies have also been carried out in Dubai Creek and off the Dubai coast in order to provide calibration and validation data for 3D water quality models of Dubai Creek and the Dubai coastal area. The captured data, Alya added, are presently stored on a server at the Dubai Municipality and workstations running ArcMap® GIS is used as principal data management application. The latest captured data are also made available to the general public in summary tables and graphs on the web site http://www.dubaicoast.ae/. Future planned enhancements of the marine database are focused on adopting standards for data capturing, data storage and manipulation. Dubai, UAE; January 26, 2009: GE Healthcare, a global leader in imaging and in dose reduction technologies, is showcasing Discovery CT750 HD, the world’s first high definition CT (Computed Tomography) scanner and Discovery MR750 3.0T, a breakthrough that breaks the bonds of traditional MR (Magnetic Resonance) scanning. Also highlighted is the LightSpeed VCT XTe configuration, a new low-dose evolution of the proven LightSpeed VCT. Launched for the first time in the region, these systems with clinical images will be on display at Arab Health 2009, the premier healthcare exhibition being held at Dubai International Convention Centre. The Discovery CT750HD and Discovery MR750 3.0T are the first of their kind to the region and of great relevance to healthcare professionals here, as they enable early diagnosis of cancers and cardiac diseases, and can potentially help ease the burden of rising healthcare costs faced by the Middle East region. Discovery CT750 HD will set the new standard for CT clarity, delivering the vision and the tools to allow clinicians to diagnose quickly and confidently. The remarkable technology of Discovery MR750 makes routine exams faster, advanced exams routine and every scan becomes a study in speed. GE engineers discovered that, by changing the molecular structure of real garnets, they could develop a scintillator capable of delivering images 100 times faster, with up to 33 per cent greater detail through the body and up to 47 per cent greater detail in the heart. They had unlocked the secret of the proprietary GE Gemstone Detector™, boasting the fastest primary speed in the CT industry, and the driving force of the first of its kind: “Gemstone Spectral Imaging” process. Gemstone Spectral Imaging offers outstanding capabilities of characterization with the material decomposition images and exceptional image enhancement with the 101 user selectable energy levels, dual energy fast kV switching. CT750 HD registers energies at least 165 times faster than Dual Source CT technologies. It brings faster, clearer images into today’s demanding health care environment without sacrificing the element patients and clinicians demand most: radiation dose reduction. CT750 HD improves image quality while reducing dose by up to 50 per cent across the entire body and by as much as 83 per cent for cardiac scans. GE continues to focus on providing capabilities that help healthcare providers deliver clinical excellence and better patient care through exceptional image quality and reduced dose. At Arab Health this year, GE is unveiling the LightSpeed VCT XTe, a new generation of scanners built from the proven LightSpeed VCT platform and enhanced with HD Technologies. First launched in 2004, the LightSpeed VCT ushered in a new era of diagnostic capability with 5-Beat Cardiac, head-to-toe body scans in 10 seconds for trauma assessment and a stroke workup program. More recently, GE introduced its exclusive SnapShot Pulse™, the industry’s first prospectively gated low dose diagnostic cardiac acquisition mode. The LightSpeed VCT has been selected more often than any other scanner in its class, a testament to its proven clinical value. Equipped with the industry’s most powerful gradients, Express Exam workflow features and the company’s advanced Thermal Management System, the Discovery MR750 delivers up to 60 per cent additional anatomical coverage and resolution unit per time. The system significantly improves the imaging performance over previous generations, increasing the freedom for advanced application development, including: a routine liver exam in 15 minutes and a full breast exam in only two sequences. Driven by customer demands for improved clinical capabilities, the Discovery MR750 has been designed around clinical workflow needs with a strong focus on improving productivity. With that in mind, the system also includes operational efficiencies such as the newly designed detachable patient table and the first ever in-room operator console. In addition, the Discovery MR750 features automated protocols. This aspect of the system allows for more focused attention on the patient and consistent protocols and processing across operating technicians. Together, these features reduce setup time in the scanner room by up to 70 per cent and additionally, the newly designed user interface reduces the number of steps by as much as 68 per cent. Dubai, UAE; January 26, 2009: Stepping in to support the Middle East region’s commitment to strengthen e-Healthcare delivery and virtual imaging, GE Healthcare has rolled out a series of enhanced IT solutions, currently, on display at Arab Health 2009, the premier healthcare exhibition ongoing at the Dubai International Convention Center. These technological developments for image and information management empower any hospital IT infrastructure with e-Health enabling tools. The focus of these solutions is on information exchange, sharing workflow and building the virtual radiology and imaging department. Across the region, healthcare providers are increasingly faced with the challenges of dealing with growing populations, rising operational costs, and the need to increase quality of care while decreasing medical errors. GE Healthcare’s investments have helped drive healthcare IT advancements in the Middle East, contributing to the development of such areas as informatics and genomic research in the region while also allowing for faster, more effective treatments in everything from radiology to cardiology to ophthalmology. The new applications Centricity Advanced Web and PACS-IW (Web-based Picture Archiving and Communication System) are the ideal complement to the existing solutions portfolio. For a referring physician, radiologist or clinician, the solution enables easy and fast Web-based image access with state-of-the-art applications, fast image display and clinical tools. Centricity PACS-IW fulfills the expectations of small installations and meets the increasing demand of referring physicians for advanced post processing tools. The new Web-based PACS solution is user-friendly, easy and fast to install yet offers modern clinical tools like MIP/MPR (Maximum or Minimum Intensity Projection/ Multiple Planar Reconstruction) and advanced 3D technology to easily evaluate huge sets of data. Centricity Advanced Web, as an addition to the Centricity Enterprise PACS, is the ideal solution for high expectations of clinicians who want to stay flexible, need a rich set of tools and wish to immediately discuss diagnostic results with their patients. Starting from a pulmologist to a neurologist or orthopedist, all of them see their requirements fulfilled. Even with a low bandwidth, the solution grants access to a big set of tools with a simple internet connection: MIP/MPR, integrated ultrasound, mammography and orthopedic tools, easy second opinion consulting, printing and burning of CDs from any PC and a lot more. The new Centricity Imaging Portal facilitates cross hospital workload balance, multi-disciplinary clinical consulting, tele-radiology and home reporting, data care and privacy as well as a de-centralized workflow in a XDS (Cross Document Sharing) enabled environment. IT takes multi-disciplinary information sharing to the next level. In a cross-hospital and a multi-vendor IHE and XDS compliant environment the Centricity Imaging Portal allows access to a global patient history, facilitates multi-disciplinary conferences and secure Web-access to images and documents. The goal is to share a common workflow rather than pure information, thus taking a step beyond radiology. This commitment to interoperability can also be seen in GE Healthcare’s Cardiology IT Solutions. Together with RIS/PACS (Radiology Information System / Picture Archiving and Communication System) the system meets the cardiologist’s demand for advanced data management and PACS capabilities in a common infrastructure for cardiology and radiology. Centricity CA1000 and AW-Suite are a successful combination of review possibilities and state-of-the-art 3D analysis tools in an interoperable care environment. The new version Centricity Carddas Xi² 3.0 introduces a functional area for cardiology examinations in MR allowing an extremely fast diagnosis of MR images. Besides, Carddas offers a set of new features like the shift to NET™ technology, the graphically advanced statistics tool to display statistical results, the scheduler for effective time management and an additional tap for clinical vessel based reporting. The appointment of a dedicated general manager for GE Healthcare’s IT Sales Eastern and Africa Growth Regions (EAGM) business is another key decision to further strengthening GE’s position in these markets. The new leader, Sia Moussavi, with an 11-year longstanding career at GE Healthcare, brings tremendous Sales and Services experience. Dubai, UAE; January 26, 2009: GE Healthcare, today, unveiled in the Middle East region the new 1.5T magnetic resonance (MR) scanner, Discovery™ MR450, at Arab Health 2009, the region’s premier healthcare expo. The Discovery™ MR450 offers some of the most advanced capabilities available on any 1.5T system, including real-time cardiac imaging, single-acquisition, multi-contrast abdominal images with outstanding fat/water separation and ultra high-resolution musculoskeletal exams with high patient throughput. Built around the company’s proven short-bore, superconducting 1.5T magnet — the Discovery™ MR450 delivers high homogeneity for excellent results even when imaging with a large or off-center field of view (FOV). Workflow and productivity issues are also addressed with the new system with gains of up to 60 per cent additional anatomical coverage and resolution per unit time compared to conventional systems, increased acquisition speed over previous generations of 1.5T systems. GE’s Discovery™ MR450 features several new advanced applications, including: SWAN (T2 Star Weighted Angiography), which combines a unique 3D T2*-based multi-echo acquisition with a special reconstruction algorithm. It generates several echoes, which are read out at different TE times, and compiles magnetic signatures of a range of tissues with varying degrees of T2* contrast. With SWAN, users can visualize major vessels and large vascular structures, accurately delineate small vessels and microbleeds, assess iron and calcium deposits in tissue and image the whole brain in 3D high resolution in just 4 minutes. The new GE suite of Inhance Non-Contrast Enhanced MR Angiography (MRA) applications is robust, fast and easy to use. Inhance sequences deliver consistent, reproducible images even in difficult-to-scan anatomies, for fewer rescans and confident differential diagnoses. Umm Suqeim e-library participated in a three-day book exhibition held by Al Ithihad Private School recently. During the exhibition, lectures were also held explaining the role played by libraries and the important services they provide to the public. 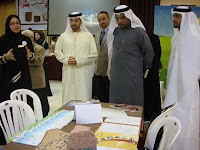 Knowledge models and the Dubai Municipality Public Libraries Department participation in different fields were showcased in the exhibition. On the second day, the Public Libraries Department held an electronic cultural contest, in which two groups of students participated. On the third day, a technical workshop was held on making flowers from papers, in addition to display of the art of flower decoration and arrangement using different materials. Dora Al Hammadi, Head of Umm Suqeim e-library said this participation comes as part of the keenness of the Public Libraries Department on having interaction with educational institutions and also as a reassurance of its role in spreading culture in the society. Among the visitors to the exhibition were Saeed Al Naboodah, CEO of Dubai Culture and Arts Authority and Jamal Al Shehhi, Executive Director of Dubai International Book Fair for Children's Books in the Mohammed Bin Rashid Al Maktoum Establishment. Dubai Municipality honoured the winning shops in the Cleanest Shops contest organized as part of its "Say YES to a Clean Naif" campaign held during October-November last year. More than 200 shops in Naif area had participated in the Western Union Clean Store Contest. Eng. Hassan Makki, Director of Waste Management Department presented the prizes, certificates and mementoes to the winning shops in the presence of Prasad Katta, Marketing Manager of Western Union, main sponsor of the campaign and Eng. Yaqoub Mohammed Al Ali, Head of Deira Operations Unit in the Waste Management Department. The shop Anjerdan was the winner in the contest while Haji Bin Mohammed Ali Store became first runner–up and Golden Tiger Store second runner–up. During the contest, people were asked to maintain a clean environment in the store, avoid eating, drinking and smoking in the stores, not carrying too many bags inside the stores, not leaving goods outside the stores and not dropping litter on the pavement. Makki said the campaign was held as per the strategy of the department in conformity with the strategy of the Municipality. "This commercial area in the emirate was given focus in the campaign aimed at enhancing the area's hygiene and environment standards. We tried to create awareness among the residents about general cleanliness by asking them not to throw dirt, cigarette butts and other wastes on the roads and stop spitting in public places, in addition to discouraging the practice of hanging clothes on the balconies deforming the good image of the city," he said. Makki said that through the campaign the society in the area was warned and created awareness among them on the healthy practices and the hazards of wastes. "People were also informed about the penalties for these as per the local orders pertaining to public cleanliness rules," he said. Makki said the clean store contest among the commercial shops consisted of a field survey throughout the campaign days to know whether the shops in the area were following safe and healthy practices in disposing off different kinds of wastes as well as maintaining general cleanliness inside and outside the shop. He said the campaign was also aimed at activating the positive role of the society in ensuring a system in the area that serves the different commercial activities. Makki added that the Municipality has been keen on launching the campaign in the Naif area as a first phase because it is considered to be the heart of the commercial nerve of the emirate. The activities of the campaign included road shows, long duration social activities by a team of 12 professional artists, stilt walkers and stage shows. In addition to publishing advertisements in the print and electronic media the awareness creating activities of the campaign also included distributing brochures and placing advertisements on buildings and main streets in the Naif area. Dubai, January 24, 2009: The Middle East Investor Relations Society (ME-IR Society), a non-profit organisation dedicated to promoting and developing the investor relations profession, announced today that it has signed a Memorandum of Understanding with the IR Society of the UK. Under the terms of the agreement, ME-IR Society and the IR Society of the UK will extend mutual cooperation to benefit members of both societies. Members will be able to explore speaking opportunities, participate in networking events, attend professional development programmes and webinars, as well as access educational materials produced by both societies. The MoU was signed recently by Michael Chojnacki, co-founder of the ME-IR Society, and Michael Mitchell, General Manager of the IR Society of the UK, during a ceremony held in London. “We are extremely pleased to announce this agreement with the IR Society of the UK, a champion of professional standards within the IR community for over 25 years,” said Chojnacki. “The ME-IR Society was established last year to support the development and practice of IR across the region, and encourage the development of international best practices standards. This partnership reinforces this commitment to enhance IR standards in the region. DUBAI, 24th January, 2009: InterContinental Hotels Group (IHG) and Ishraq Gulf Real Estate Holding Co. will further strengthen the Holiday Inn Express brand in the Gulf in 2009 with two new properties in the UAE and Bahrain. Due to open in the summer in Dubai’s Al Garhoud district, Holiday Inn Express Dubai Airport will offer 381 rooms. It will be the fourth Holiday Inn Express in the Emirate. Holiday Inn Express Manama will be the brand’s first venture in the Middle East outside Dubai. The 249-room property is expected to open in the third quarter of 2010. IHG & Ishraq sees healthy demand for limited service hotels as high real estate prices and growing competition for travellers encourage the region’s hospitality sector to diversify. The third Holiday Inn Express hotel – the Holiday Inn Express Dubai Jumeirah – opened last September. Both Holiday Inn Express properties will be operated by Ishraq Hospitality Management, a subsidiary of Ishraq Gulf Real Estate Holding Co., the exclusive developer of Holiday Inn Express hotels in the GCC, excluding Saudi Arabia. Sami Al Ansari, Chief Executive Officer, Ishraq Gulf Real Estate Holding BSC, said: “We’re confident Holiday Inn Express Airport Dubai will continue the successful trend started by our three other properties in Dubai – and we’re excited by the opportunities in Bahrain. IHG announced in 2007 the worldwide relaunch of the Holiday Inn brand family (comprising Holiday Inn Hotels and Resorts, Holiday Inn Express and Express by Holiday Inn). The US$1 billion relaunch is bringing improved consistency and service levels, as well as a more contemporary brand image and identity, to almost 3,200 hotels worldwide. The global relaunch is expected to be completed by the end of 2010. Dubai, January 21, 2009: Dubai is top of the league in the Middle East Cities of the Future ranking by fDi magazine, scoring highest points for economic potential, business friendliness, infrastructure and quality of life. Dubai scored 471 amongst 20 cities in the region evaluated, with Jeddah, Abu Dhabi, Manama, Riyadh and Ras Al Khaimah in the next five places, respectively. Produced by the Financial Times group, fDi is the premier publication for the business of globalisation, and is regarded as the single most trusted source of information for companies involved with international expansion. The Middle East Cities of the Future were ranked according to 76 criteria listed under Economic Potential, Business Friendliness, Tax & Other Costs, Human Resources, Quality of Life, Infrastructure and Foreign Direct Investment. Dubai ranked highest in four of these categories. The Economic Potential category, in which Dubai topped the list, evaluated parameters such as 2009 GDP growth forecast, National GDP, economic initiatives, inflation, cash surplus, high-tech exports, industrial production growth and growth of urban population. “Winning this award and ranking high in many of the categories reflect Dubai's success in diversifying our economy, and the potential for growth that the Emirate offers despite the challenges that the state of the global economy brings at this point in time,” explained Mr Al Qamzi. Dubai Municipality has resumed the activities of the Friday Market at the courtyard of Hamriya Central Market in Abu Hail area starting from the first week of January. The market, which will continue until June 31, will be open from 3pm to 11pm only on Fridays of the week. Khalifa Hareb, Director of Assets Management Department said the Municipality has started receiving national as well as expatriate traders who are returning once again to the market with their commodities and traditional food varieties. The market had stopped its activities in summer after the temperature and humidity level had gone up, he said. Hareb said the reopening will give the traders great opportunity to benefit from the market, in addition to promoting the Hamriya Central Market as it is also considered to be an effective support for it during the Dubai Shopping Festival 2009 in spite of the high cost and to gauge the customer satisfaction with the market. He said that a big number of individuals, establishments and companies are participating in the Friday Market this year. Hareb said that the Friday Market is holding three main activities. "The first activity is local, Gulf, Arab and Indian traditional food items. The second is trading of different commodities sold on competitive prices and the third activity is sale of souvenirs and handicraft items," he said. Hareb said some heritage organizations are displaying their products, plants, birds, coins and currencies, computer tools and programmes, books, magazines and Quran copies. He said that Dubai Municipality monitors the products sold in the market, especially the food items, to ensure whether it is safe for consumers and also to avoid price increasing or cheating. A part of the market area is set aside for selling fruits and vegetables in order to fill up the gap created when the old Hamriya Vegetable Market was shifted. In addition, places are also allotted for sale of toys. Hareb said that anybody can participate in the market. "If you want to do trade in the market for a week or two, you can go to the Municipality or the administration of Hamriya Central Market before Friday to register. You will be allotted a place in the market, which is divided into 450 small stalls," he said. Hareb said traders will be charged Dhs50 for one Friday, whereas individuals will be charged Dhs10 and the registration can be renewed through simple procedures. "Each stall measures 2X1 metres area, where one person can conduct trade. Individuals can sell anything they wish such as tools, toys, foodstuff, even used items," he said. Hareb pointed out that participants should erect umbrellas as a protection from sun and rain and also take care of the Hamriya Central Market in general. He said that there may be big rush of visitors and tourists as it is the Dubai Shopping Festival time. The Food Control Department at Dubai Municipality has confirmed that the product "Laban Up," a brand of Gulf & Safa Dairy LLC, is free from any yeast and mould contamination as it was proved from the tests conducted in the DM's Food and Environment Laboratory, in addition to three other laboratories of the country. However, Khalid Mohammed Sharif Al Awadhi, Director of Dubai Municipality Food Control Department said that this is not contradicting the result of the test conducted on the product in one of the labs in the country as the specimen taken for that test represents the specimen itself, not all the products. "There are other aspects that affect the result of the test such as the condition of the surroundings from where the specimen is taken, the temperature level in which the specimen is stored, the condition in which the specimen is transported to the lab, the way the test was conducted, and many other aspects," he pointed out. Al Awadhi added that on getting the result of a test on a food sample from a food control lab in the country the result will be circulated by the Secretariat of UAE Municipalities to coordinate among the municipalities to conduct confirmation tests on specimens of the same product in order to ward off any doubt or mistake. "This is also to avoid consequent incorrect measures that may affect the consumer as well as the foodstuff establishment. It is an example of good coordination between the food control bodies in the country for the public welfare," he said. Al Awadhi said that these kinds of messages are taken up on a routine basis among the testing bodies in the country and there are committees and joint action teams between food control bodies that cooperate among themselves in the health and safety service of the society. As regards the finding of contamination on the specimen taken for analysis by the lab, he said, it is assumed that the conditions in which the specimen is taken and its transportation to the lab might be unsuitable for storage. Al Awadhi explained that any increase in bacteria can happen in conditions without air inside the food cans, which may lead to occurrence of the container getting open. "It may not be noticed by the consumer while buying it. The scientifically known fact is that the enzymes influence the quality of the product, not its safety, in other words, it does not cause food poisoning incidents," he said. Al Awadhi confirmed that the Food Control Department in Dubai Municipality has not received any complaint about the product in question and reassured the public on the safety of the product. He also appealed not to spread any messages related to food products before contacting the specialists in the Food Control Department or any other food control authorities in the country for confirming the significance and the extent of credibility of these messages. The Environment Department in Dubai Municipality honoured 24 people among the public who cooperated with the civic body in catching environment polluters among the drivers of tankers that transport sewage water violating the environmental protection rules in Dubai during the past months. Eng. Hamdan Al Shaer, Director of Environment Department handed over cash rewards announced by the Municipality earlier to those who cooperated with it in reporting the violations in this field. Those who cooperated with the Municipality included people of different nationalities. Al Shaer said the Municipality had formed a field action team to catch these violators. The team, led by Khalid Suleten, during the past period, with the cooperation of people from the public and the patrolling department of Dubai Police caught 208 tankers that emptied sewage water in open areas or storm water openings. Each of them were imposed with a fine of Dhs100,000. Some violations were caught from labour accommodations as some owners were extending plastic pipes from the sewage water gathered in its storage tanks and were flowing it out outside the accommodation in the sand or open areas. Al Shaer appealed nationals and expatriates in the emirate to cooperate with the Municipality in reporting this practice of violation by calling on the toll-free number 800900. He also stressed the importance of increased efforts to face this uncivilized phenomenon that does not suit the name and fame of the city of Dubai and its clean environment. The Municipality has announced that it will give Dhs2,000 cash reward for those who inform the violations. Abu Dhabi, January 19, 2009 — Masdar chief executive Dr. Sultan Al Jaber announced today that Masdar, a multi-faceted future energy initiative wholly owned by the Mubadala Development Company, is well-positioned to capitalize on the “undeniable momentum and long term viability” of renewable energy technology in his keynote speech at the World Future Energy Summit in Abu Dhabi. Dr. Al Jaber acknowledged the recent global economic downturn in his opening ceremony address, but said that the renewable energy sector continues to grow and pointed to recent global commitments that call for increasing investment and deployment of renewable energy technologies. The Government of Abu Dhabi has indicated its own commitment to the adoption of renewable energy, and will soon publish a comprehensive energy policy that includes a pledge that by 2020, renewable energy sources will account for at least 7 percent of the Emirate’s total power generation capacity. Masdar estimates this commitment will create a renewable energy market valued at US$6-8 billion in the Emirate, creating business opportunities for local and international companies. “Masdar will be at the forefront of the research, development and deployment of solutions that will enable governments around the world, including our own, to meet the targets they are setting for the adoption of renewable energy,” said Dr. Al Jaber, speaking at the summit. In the past 12 months, Masdar has made significant advancements across the full spectrum of renewable energy solutions to help build a renewable energy sector in Abu Dhabi and to accelerate the deployment of clean technologies globally. In addition, international evidence of the widespread adoption of renewable energy includes recent commitments by the Governments of Australia and the United States to make significant investments in renewable energy technologies, a commitment by the European Parliament to reduce carbon emissions by 20 percent by 2020, and international efforts led by the Governments of Germany, Denmark and Spain to establish an International Renewable Energy Agency, dedicated to the widespread adoption of renewable energy on a global scale. “It is a testament to the will of our leadership, HH Sheikh Khalifa bin Zayed Al Nahyan, President of the UAE and Ruler of Abu Dhabi, and HH Sheikh Mohamed bin Zayed Al Nahyan, Crown Prince of Abu Dhabi and Deputy Supreme Commander of the UAE Armed Forces, under their guidance Masdar will provide a comprehensive solution to the world’s energy challenges and maintain Abu Dhabi’s position as a leading supplier of energy to the world,” he added. Masdar is host of the World Future Energy Summit, which commenced today and attracted more than 15,000 delegates, 300 exhibitors and 20 government delegations to discuss the global response to future energy challenges.